The requirement to obtain a visa before travel is a deterrent. Only 3 – 4% of the EU’s leisure visitors from outside Europe have a visa, yet citizens from large source markets require them, including China, India, Indonesia, the Philippines and Russia. While some improvement has been made, Schengen visa processes remain problematic and costly. Ireland and the UK have a Common Travel Area whose benefits may be undermined should the UK leave the EU. The Schengen Area remains one of the EU’s great success stories. Borderless travel between 22 EU and four non-EU states transformed the offer of multi-country itineraries enjoyed by long-haul visitors in particular. 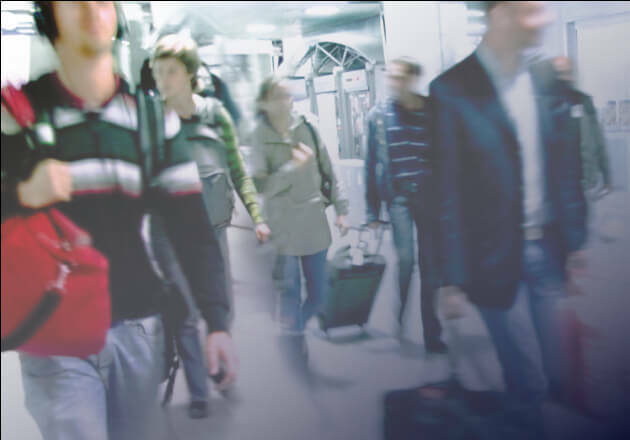 The introduction of the European Travel Information and Authorisation Services (ETIAS), expected in 2021, should increase confidence in borderless travel and enable more origin markets to qualify for visa-waiver status. Its fee should be kept at a modest level and not used as a stealth tax on tourists. This impact survey presents high level preliminary findings from research conducted by ETOA between July and September 2018. It is intended to inform current debate on the reform of the Schengen Visa Code. 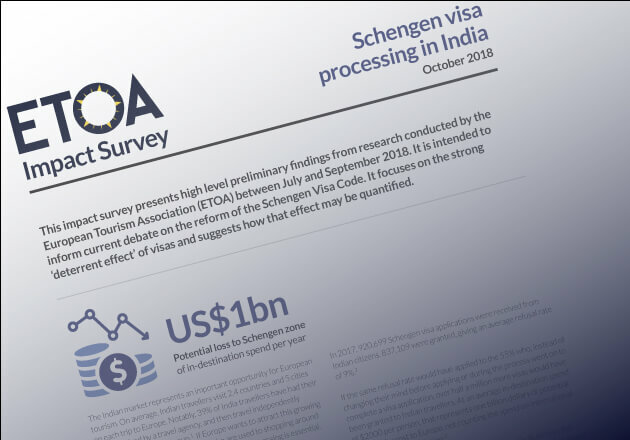 Impact survey on Schengen visa processing in origin markets: China and India, 2018. Report and Recommendations.